Michelle Tate is the newest member of Whitnall Park Rotary Club. Together with her husband, she is the owner of Brew City Ballroom on Highway 100 in SW Milwaukee. 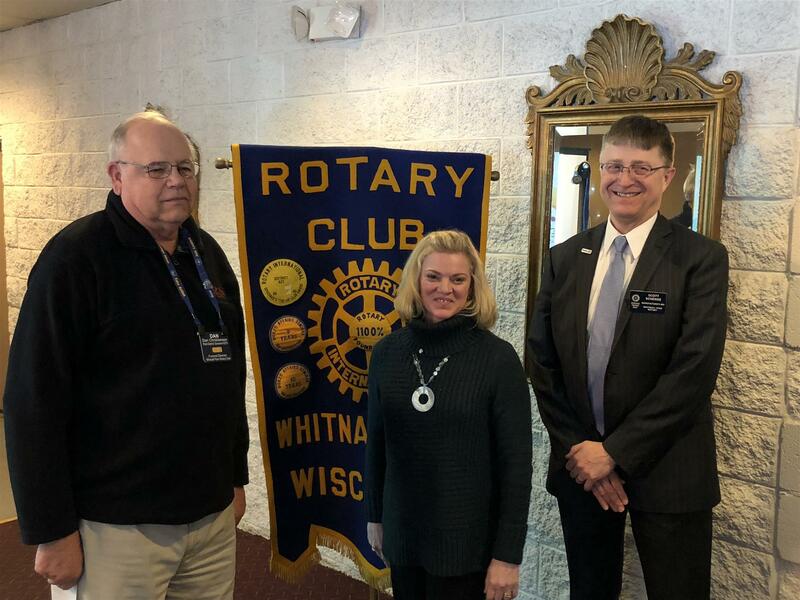 Dan Christianson (l), former District 6270 Governor and WPRC member, inducted her into club membership on March 20 as her membership sponsor Scott Schenke (r) observed the ceremony. Welcome, Michelle!